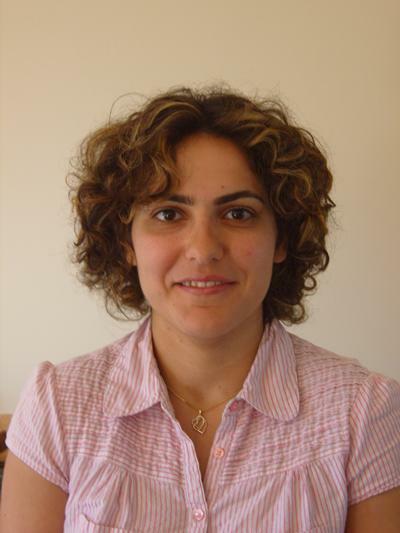 Dr Maryam Ghandchi Tehrani is Associate Professor in Active Control within Engineering and Physical Sciences at the University of Southampton. Dr Maryam Ghandchi Tehrani (MGT) has a BSc in Mechanical Engineering from the Iran University of Technology (2002), an MSc (Eng) from the University of Liverpool (2004) and a PhD also from Liverpool (2007). She did two year postdoctoral research and one year temporary lectureship also at the University of Liverpool. She has been appointed as a new lecturer in the Institute of Sound and Vibration Research (ISVR) at the University of Southampton from October 2010. Her research areas are mainly vibration and control. Her BSc project was based on vibration analysis of an asymmetric aerofoil cross-section turbine blade using Galerkin’s method. Her MSc (Eng) project work was involved in developing the theory of Vincent circle for the design of structural modifications allowing assignment of chosen dynamic behaviour, such as a desired natural frequency or damping factor. Her PhD project on “Passive Modification and Active Vibration Control by the Receptance Method” was supervised by Professor John Mottershead, at the University of Liverpool. She held an ORS award as well as a University of Liverpool Studentship. Structural modification by the receptance method was considered on a Lynx helicopter tailcone modified by a large overhanging mass, equivalent to the tail-rotor gearbox and hub. She also developed a new method for assigning poles and zeros (resonances and antiresonances) to structures by active control using measured receptances from vibration tests. In 2007 she began work as a post-doctoral researcher for two years on EPSRC funded research on “A New Approach for Active Vibration Suppression” with Professor Mottershead. This led to new developments not only for the assignment of poles and zeros, but also for the assignment of eigenvalue sensitivities. She won an IMechE prize for her presentation on Active Vibration Control. In the summer of 2010, she joined the ISVR Signal Processing and Control Group at the University of Southampton as a Lecturer. Travel Grant, University of Liverpool (RSB), £950, September 2010. Annual Adventure in Research, University of Southampton, £10k, November 2010. EPSRC sub-contract with University of Liverpool, Active Vibration Control on Agusta-Westland W30 Helicopter, £9k, January 2011. Matrix Operator Pencil Network, MOPNET EPSRC Travel Grant, £380, August 2011. EPSRC first grant, Active Vibration Control of Parametrically Excited Systems, (Ref: EP/K005456/1), £124k, January 2013-January2015. Active vibration control of parametrically excited systems. Identification and control of nonlinear behavious in proof-mass actuators. In addition to traditional control, the project will investigate the use of inverse simulation as a tool to bypass control system design.The objectives of the project are two-fold. The first is to investigate novel control strategies to control highly non-linear aero-servo-elastic systems by using the appropriate level of fidelity. The second objective is to investigate, design, test, and manufacture a mechanism to harvest energy from ambient sources and structural vibrations. Ritto, T., & Ghandchi Tehrani, M. (2018). Active control of stick-slip torsional vibrations in drill-strings. Journal of Vibration and Control. Dal Borgo, M., Ghandchi Tehrani, M., & Elliott, S. (Accepted/In press). Dynamic analysis of nonlinear behaviour in inertial actuators. Journal of Physics: Conference Series, 1-12. Yashar, A., Ghandchi Tehrani, M., & Ferguson, N. (Accepted/In press). Dynamic behaviour of a rotating cracked beam. Journal of Physics: Conference Series, 1-14. Ghandchi Tehrani, M., & Pumhoessel, T. (Accepted/In press). Impulsive parametric damping in energy harvesting. Journal of Physics: Conference Series, 1-10. Elliott, S. J., Ghandchi Tehrani, M., & Langley, R. (Accepted/In press). Nonlinear damping and quasi-linear modelling. Philosophical Transactions of the Royal Society A: Mathematical, Physical and Engineering Sciences, 1-23. Ghandchi Tehrani, M., & Elliott, S. J. (Accepted/In press). Extending the dynamics range of an energy harvester using nonlinear damping. Journal of Sound and Vibration. Mottershead, J. E., Ghandchi Tehrani, M., James, S., & Court, P. (Accepted/In press). Active vibration control experiments on an Augusta Westland W30 helicopter airframe. Proceedings of the Institution of Mechanical Engineers, Part C: Journal of Mechanical Engineering Science. Tehrani, M. G. (2018). Active vibration control using parametric impulsive feedback damping. In 25th International Congress on Sound and Vibration 2018, ICSV 2018: Hiroshima Calling (Vol. 2, pp. 731-738). International Institute of Acoustics and Vibration (IIAV). Camperi, S., Ghandchi-Tehrani, M., & Elliott, S. J. (2018). Power requirements in velocity feedback control of a plate with an inertial actuator. In 25th International Congress on Sound and Vibration 2018, ICSV 2018: Hiroshima Calling (Vol. 2, pp. 723-730). International Institute of Acoustics and Vibration (IIAV). Dal Borgo, M., Ghandchi Tehrani, M., & Elliott, S. (2017). Active nonlinear control of a stroke limited inertial actuator. Abstract from 12th International Conference on Engineering Vibration, Sofia, Bulgaria. Dal Borgo, M., Ghandchi Tehrani, M., & Elliott, S. (2017). Nonlinear control and stability analysis of a stroke limited inertial actuator in velocity feedback. Paper presented at ENOC2017 - 9th European Nonlinear Dynamics Conference, Budapest, Hungary. Dal Borgo, M., Ghandchi Tehrani, M., & Elliott, S. (2016). Dynamic analysis of two nonlinear inertial actuators in active vibration control. 1179-1193. Paper presented at 27th International Conference on Noise and Vibration Engineering, Leuven, Belgium. Zilletti, M., Elliott, S., & Ghandchi Tehrani, M. (2016). Electromechanical pendulum for vibration control and energy harvesting. Paper presented at EACS 2016 – 6th European Conference on Structural Control, United Kingdom. Bonisoli, E., Manca, N., Ghandchi-Tehrani, M., Da Ronch, A., & Gianfrancesco, M. (2015). Extended frequency bandwidth through multi-degree-of-freedom nonlinear magneto-mechanical energy harvesting. Paper presented at International Conference on Structural Engineering Dynamics (ICEDyn), Portugal. Hendijanizadeh, M., Elliott, S. J., & Ghandchi-Tehrani, M. (Accepted/In press). The effect of internal resistance on an energy harvester with cubic resistance load. Paper presented at The 22nd International Congress on Sound and Vibration (ICSV22), Florence, Italy. Ghandchi Tehrani, M., & Kalkowski, M. (2014). Active control and potential exploitation of parametrically excited systems. 5th International Conference on Computational Methods (ICCM2014), United Kingdom. Wilmshurst, L., Ghandchi Tehrani, M., & Elliott, S. J. (2014). Active control and stability analysis of flexible structures using nonlinear proof-mass actuators. Paper presented at Ninth International Conference on Structural Dynamics (EURODYN 2014), Portugal. Ghandchi Tehrani, M., Luigi, S., & Elliott, S. J. (2014). Energy harvesting using nonlinear damping. European Nonlinear Oscillations Conference (ENOC)2014, Austria. Ghandchi Tehrani, M., & Da Ronch, A. (2014). Gust load alleviation using nonlinear feedforward control. Paper presented at IX International Conference on Structural Dynamics, EURODYN 2014, Portugal. Simeone, L., Ghandchi Tehrani, M., Elliott, S. J., & Hendijanizadeh, M. (2014). Nonlinear damping in an energy harvesting device. Paper presented at Conference on Noise and Vibration Engineering (ISMA2014), Belgium. Wilmshurst, L., & Elliott, S. J. (2014). Prevention of stroke saturation in inertial actuators using a detection scheme. Paper presented at 21 st International Congress on Sound and Vibration (ICSV21), China. Ghandchi Tehrani, M., Gatti, G., Brennan, M. J., & Thompson, D. J. (2013). Energy harvesting from train vibrations. Paper presented at International Conference on Vibration Problems, Portugal. Ghandchi Tehrani, M., & Elliott, S. J. (2013). Energy harvesting using nonlinear control. Paper presented at Conference on Acoustics AIA-DAGA 2013, Italy. Ghandchi Tehrani, M., Elliott, S. J., Di Monaco, F., & Bonisoli, E. (2013). Energy harvesting using semi-active nonlinear control. Paper presented at RASD2013, . Wilmshurst, L. I., Ghandchi Tehrani, M., & Elliott, S. J. (2013). Nonlinear vibrations of a stroke-saturated inertial actuator. Paper presented at RASD2013, . Ghandchi Tehrani, M., & Mottershead, J. (2012). An overview of the receptance method in active vibration control. Paper presented at MATHMOD 2012, Austria. Papatheou, E., Wei, X., Jiffri, M., Prandina, M., Ghandchi Tehrani, M., Bode, S., ... Cooper, J. E. (2012). Flutter control using vibration test data: theory, rig design and preliminary results. Paper presented at International Seminar on Modal Analysis (ISMA2012), Belgium. Wilmshurst, L., Ghandchi Tehrani, M., & Elliott, S. J. (2012). Receptance method in active vibration control of a nonlinear Duffing oscillator. Poster session presented at International Seminar on Modal Analysis (ISMA2012), Belgium. Lecomte, C., & Ghandchi Tehrani, M. (2012). Statistical pseudospectrum and eigenvalue robustness to rank-one disturbance. Paper presented at SIAM 2012, . Prandina, M., Ghandchi Tehrani, M., Cooper, J. E., & Mottershead, J. (2011). Receptance method for active vibration control and aeroservoelasticity. Paper presented at Euromech 2011, Colloquium 530: Structural Control and Energy Harvesting, United Kingdom. Ghandchi Tehrani, M., & Ouyang, H. (2011). Receptance-based partial pole assignment for asymmetric systems using state feedback. Paper presented at International Conference on Structural Engineering Dynamics (ICEDyn 2011), Portugal. Elliott, N. R., Ghandchi Tehrani, M., & Mottershead, J. (2010). Partial pole placement of structures using measured receptance. Paper presented at 10th International Conference on Recent Advances in Structural Dynamics RASD 2010, United Kingdom. Ghandchi Tehrani, M., Elliott, N. R., & Mottershead, J. (2010). The receptance method in partial pole placement of structures. Paper presented at International Seminar on Modal Analysis (ISMA2010), Belgium. Ghandchi Tehrani, M., Mottershead, J., & Ram, Y. M. (2009). Active vibration control by the receptance method. Paper presented at Noise and Vibration: Emerging Methods NOVEM, United Kingdom. Mottershead, J., Ghandchi Tehrani, M., & Ram, Y. M. (2009). An introduction to the receptance method in active vibration control. Paper presented at International Modal Analysis Conference (IMAC), United States. Ghandchi Tehrani, M., Mottershead, J. E., James, S., & Gardonio, P. (2008). Pole placement in active vibration suppression using the receptance method. In Proceedings of the 7th European Conference on Structual Dynamics (EURODYN 2008) Southampton, UK: University of Southampton. Mottershead, J., Ghandchi Tehrani, M., & James, S. (2007). Active pole-placement by the receptance method using output feedback. Paper presented at International Conference on Engineering Dynamics, Portugal. Ghandchi Tehrani, M., Mottershead, J., & Ram, Y. M. (2007). Active vibration suppression by the receptance method. Paper presented at International Modal Analysis Conference (IMAC), United States. Ghandchi Tehrani, M., Mottershead, J., James, S., & Stancioiu, D. (2007). Structural modification of a helicopter tailcone using an X-block attachment. Paper presented at International Conference on Engineering Dynamics, Portugal. Ghandchi Tehrani, M., Wang, W., Mares, C., & Mottershead, J. (2004). Vibration suppression using Vincent’s circle. 603-610. Paper presented at International Seminar on Modal Analysis (ISMA2004), Belgium. Engineering Subject Centre, The Higher Education Academy, Active learning in Active Control, £5k, January 2011. The Higher Education Academy, Teaching Development Grant, Activity-based Projects in Engineering, £7k, October 2012.